When it comes to nutrition there are always differences of opinion, so perhaps we should approach every new diet with a bit of skepticism. Contrary to popular belief, the ketogenic diet is not solely a trending fad. In fact, the role of fasting in disease treatment dates back thousands of years. In modern times, the use of a ketogenic diet became popular in the 1920’s, when this sugar-free, starch-free diet demonstrated success in treating children with drug resistant epilepsy. Questions remain as to whether the ketogenic diet is a healthy and effective approach for long-term weight loss and maintenance. Because the diet is so restrictive, some may find it difficult to adhere to over the long haul. For many, quick weight loss is the primary reason to try this high-fat, adequate protein, extremely low-carb diet. The controversy lingers as to whether the ketogenic diet should be restricted to short-term use, perhaps six months or less. 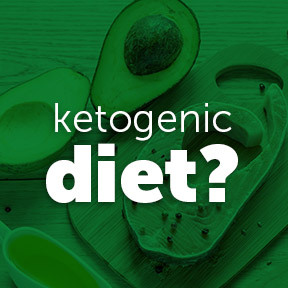 The ketogenic diet formed the basis of the popular Dr. Atkins low-carbohydrate, high-fat diet for weight loss that incorporated a very strict, but short, two-week ketogenic phase. Per the National Institutes of Health (NIH), one published study showed beneficial effects of a long-term ketogenic diet for obese individuals. The researchers concluded that the ketogenic diet successfully reduced body weight and body mass index of overweight participants without any significant side effects. The ketogenic diet targets key underlying causes of weight gain, specifically metabolic dysfunction that develops from an overconsumption of net carbohydrates, largely sugars and grains. Many of today’s life threatening chronic diseases are rooted in hormonal imbalances, notably insulin and leptin resistance. Coupled with high blood sugar, insulin resistance triggers biochemical reactions that cause the body to retain fat, produce inflammation, and damage cellular health. The principal goal of the high-fat/low-carb ketogenic diet is to put the body into a metabolic state of ketosis. When in ketosis most of the body’s energy is fueled by ketones in the blood stream rather than glucose, the body’s preferred energy source. In response to either starvation, which in itself is ketogenic, or high-fat/low-carb intake, the liver breaks down fats into fatty acids, or ketone bodies, essentially putting the body into starvation mode. While in ketosis, the body burns ketones, or fats, for fuel. The goal of the ketogenic diet is to get at least 70% of your daily calories from healthy fats that include avocados, macadamia nuts, butter, cold-pressed coconut oil, and olive oil. Protein intake is restricted to no more than 25 percent of daily calories and carbohydrates contribute only 5-10 percent, or approximately 50 grams. Basically, many foods are off limits–no bread, starchy vegetables, rice, oatmeal, sugar or alcohol. This mean you can have full fat dairy, leafy greens, cruciferous vegetables, nuts, seeds, meat, poultry, eggs, fish, and some lower carb veggies and fruits, such as berries, mushrooms, asparagus, tomatoes, peppers and green beans. -One major advantage of the ketogenic diet is that it allows for drastic calorie reduction without producing insatiable hunger. Restricting carbohydrate consumption naturally reduces calorie consumption with little change in diet satisfaction, hunger, or energy levels. -On a ketogenic diet, blood sugar is lowered and stabilized, which is particularly helpful for individuals with pre-diabetes, as well as type 1 and type 2 diabetes. Under a medical professional’s supervision, ketogenic diets have been shown to have an additional benefit of reducing reliance on diabetes medications. -A ketogenic diet has been shown to help restore insulin sensitivity, as it helps to eliminate high insulin levels, the root cause of insulin resistance. -High blood pressure associated with metabolic syndrome has been shown to improve on a ketogenic diet, particularly in those who are overweight or have type 2 diabetes. -A collection of symptoms known as metabolic syndrome that are highly associated with the risk of diabetes and heart disease have been shown to improve on a low carb diet. These include abdominal obesity, high blood pressure, high triglycerides, and elevated blood sugar and low HDL levels. -Research has shown that ketogenic diets result in overall improvements in the ratio of total cholesterol to HDL cholesterol. -Mental clarity and improved focus are commonly reported benefits, largely a result of an increase in omega-3 fats shown to support improved mood and learning ability. -A large percentage of fat lost on a ketogenic diet comes from visceral fat found in the abdominal cavity. Visceral fat drives inflammation, insulin resistance and metabolic dysfunction. -It can take up to two weeks for the body to go through the adaptation phase of the diet. Some experience a level of discomfort during this time that can include fatigue and brain fog. -The diet is so restrictive, it’s hard to stick with long term. The diet restricts an entire food group. That means very little fruit, restrictions on certain starchy vegetables, and absolutely no grains, beans or flour products. Those who reach their ideal weight while on a strict ketogenic diet may begin to add more healthy complex carbs back into the daily diet, and can cut back again if weight gain occurs. -A low carb diet may negatively affect athletic performance. The rate of energy production necessary for optimum performance may decrease when the body runs on ketones rather than glucose. -Constipation is a common side effect, as the diet eliminates fiber-rich whole grains, most fruits and certain vegetables. A fiber supplement can help to ensure healthy digestive function. -Due to carbohydrate restriction, those on a ketogenic diet should be sure to take a high quality multivitamin and mineral supplement to avoid micronutrient deficiencies. For some, the ketogenic diet is a good way to lose weight, but it’s not for everyone. Extreme diets that essentially eliminate entire food groups do not address underlying behavioral or unhealthy lifestyle issues. If your standard diet resulted in an abnormal weight gain, implementing small sustainable changes may be sufficient to re-establish an eating plan for healthy weight loss and long-term weight loss maintenance. A healthier approach might be dietary improvements that are sustainable over time. Cutting refined carbs and replacing them with fresh whole foods will help maintain long-term health. It appears that medical professionals wholeheartedly endorse a balanced, unprocessed, colorful diet, that encompasses all food groups and limits sugar and white flour. Such a dietary approach presents the best evidence for a disease-free, long and healthy lifespan. M.C.T. by Douglas Laboratories: MCT, or medium chain triglycerides, are absorbed by the liver where they are directly used for energy production. This liquid formulation may aid weight reduction and reduced body fat with 100% structured lipids. No yeast, gluten, soy protein, milk/dairy, corn, sodium, sugar, starch, artificial coloring, preservatives or flavoring. Alpha Lipoic Acid 400 mg by Pure Encapsulations: This exceptionally versatile antioxidant nutrient provides free radical protection, as well as support for various metabolic processes that include nerve health, cardiovascular function and glucose metabolism. Gluten and soy free, Non-GMO vegetarian formulation. Bone Broth Protein Pure by Ancient Nutrition: This gut-friendly supplemental food is rich in collagen, gelatin, protein, glucosamine, chondroitin and key minerals that support a wide range of benefits and bodily systems. Free of common allergens, Bone Broth supplies 20 grams of quality Non-GMO protein in a convenient easy to use form. Gluten and soy free, Non-GMO formulation. Variety of flavors available. Multi T/D Multivitamin/Mineral by Pure Encapsulations®: This twice daily multivitamin and mineral complex supports overall health and nutrient metabolism. The addition of active vitamin cofactors aids optimal bioavailability and utilization. Hypoallergenic, gluten free, Non-GMO formulation. This entry was posted in Home and tagged Alpha Lipoic Acid 400 mg by Pure Encapsulations, Benefits and Drawbacks of a Ketogenic Diet, Bone Broth Protein Pure by Ancient Nutrition, Ketogenic Diet, M.C.T. by Douglas Laboratories, Multi T/D Multivitamin/Mineral by Pure Encapsulations. Bookmark the permalink.